Earlier this month, a new housing lottery at 1766 2nd Ave. in Yorkville launched for low-income renters. Rents for the housing lottery start at $1,018 for studios and go up to $1,740 for 3-bedrooms, varying with income and household size. Interested renters can apply through NYC Housing Connect. The deadline for entry is April 16, 2019. To apply for one of the 28 units, you must meet the household income requirements, which are set at 70 and 80 percent of the area median income (AMI). That means applicants must earn between $36,858 and $96,800, annually. Other factors also may influence the selection process. Applicants with disabilities impacting their audio, visual or mobile facilities receive special preference as well as residents of Manhattan Community Board 8. In addition to affordable rents, the building offers convenience. It’s two blocks south of the Q train at 96th Street. Nearby neighborhood amenities include a Key Food across the street, Asphalt Green and Carl Schurz Park. 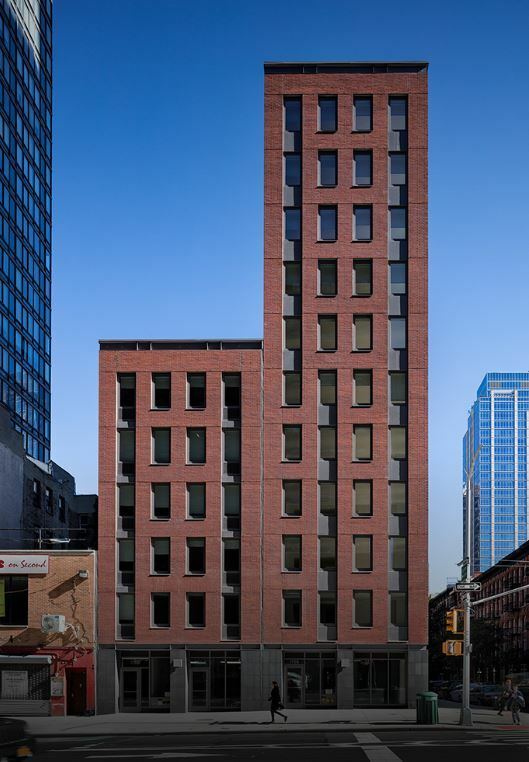 Designed by Curtis + Ginsberg Architects, the project spans two buildings with one rising 11 stories and the other six. The ground floors will offer both commercial and community space. Residents will have access to bike storage, laundry and a shared roof deck. You can apply online here. If you qualify, you will have an interview to review and confirm your eligibility. Interviews typically occur anywhere between two and 10 months after the application deadline. Be sure to go to the interview prepared. Bring documents that verify your household size, the identities of those in your household, and your household income. The deadline to apply is April 16, 2019.